Map It! Okinawa: "Niya-Thiya Cave (Sen-nin), Ie Jima Island"
"Niya-Thiya Cave (Sen-nin), Ie Jima Island"
Near the southern coast of Ie Jima Island sits a large cave. In the present day, she is called Niya-Thiya Cave. To many locals, however, she is called 'Sen-nin Gama' which loosely translates to 'The Cave of 1000 People'. The name refers to the time of the Great Okinawan War where it said that over 1000 Okinawans living on Ie Jima hid as war raged on. It is claimed that no one died inside. 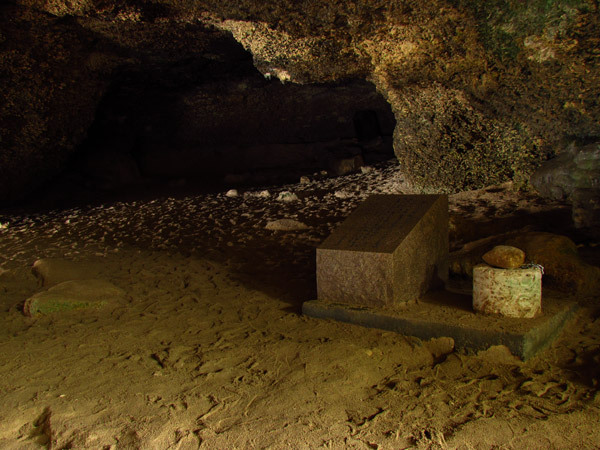 But when asked about such stories, many Okinawans on Ie Jima often refer to another cave on the northeastern side called Ahasha Cave, where 150 Okinawans perished. Scroll through the map above to find Ahasha Cave. According to the Japanese sign on the outside of the Niya-Thiya Cave, around March of the Lunar Calendar a prayer ritual (lead by a female priestess as the sign implies) is held inside the Niya-Thiya Cave. Note: There has been conflicting information about such rituals on Ie Jima. Many local villagers have said that a noro (or noro-like person - female priestess) no longer exist on the island. Such rituals could be small in scale often confined to a small group of people. The Pregnancy Stone. 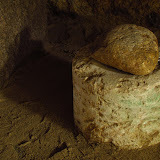 There is a legend of a fertility stone that sits inside the cave. This stone is believed to have a living god inside it. But the medium size stone is more than just a fertility stone. It is also believed that it can determine the gender of the newborn. According to legend, if a woman who picks up the stone feels that it is heavy, her offspring will be a boy. If the stone feels light, the baby will be a girl. These type of fertility stones are sometimes called Kodakara-ishi, (子宝石) which translates to as a 'Child Stone' meaning a form of jewel. Note. In general, older Okinawan people may call any kind of special stone (believed to have a living god in it) as 'Bijiru' which is Okinawan dialect. 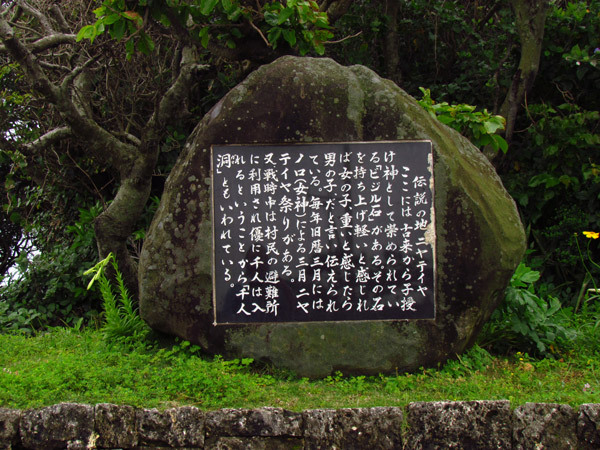 The Bijiru Shrine in Awase of Okinawa City is another example where such a stone is said to exist. Directions. 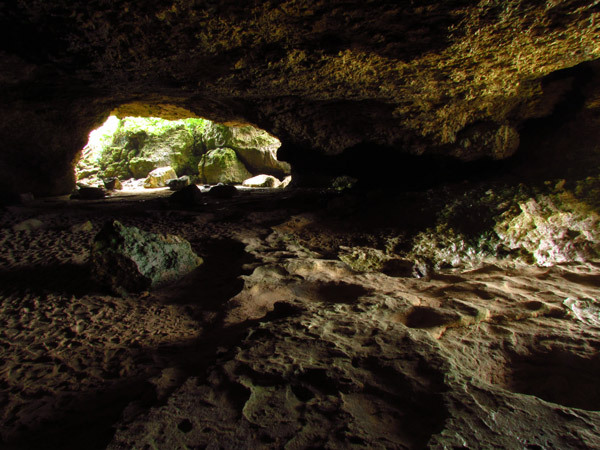 The Niya-Thiya Cave is on Ie Jima Island which can be reached by a 30 minute ferry ride. Please read article about 'Traveling to Ie Jima' for travel information. The cave itself is well identified by a tourist sign marker. 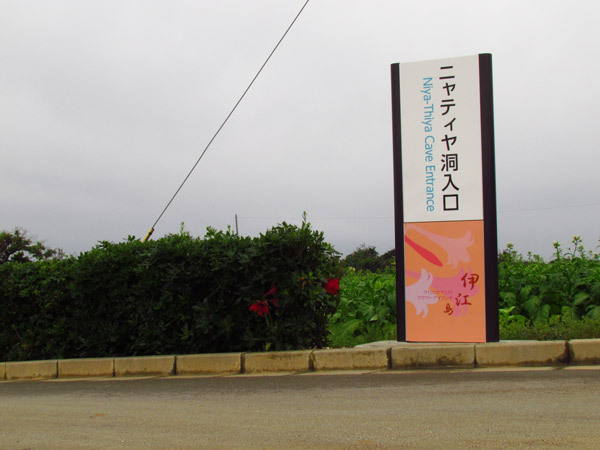 It sits along the main road (Route 181) on the southern coastline of Ie Jima. What to Bring. Bring a camera, small towel. There are restroom facilities on location and a water source to wash away sand from the shoes. There will be a lot of mosquitoes in the area. Dress accordingly. "The Grave of Two Frenchmen, The Oranda Baka"